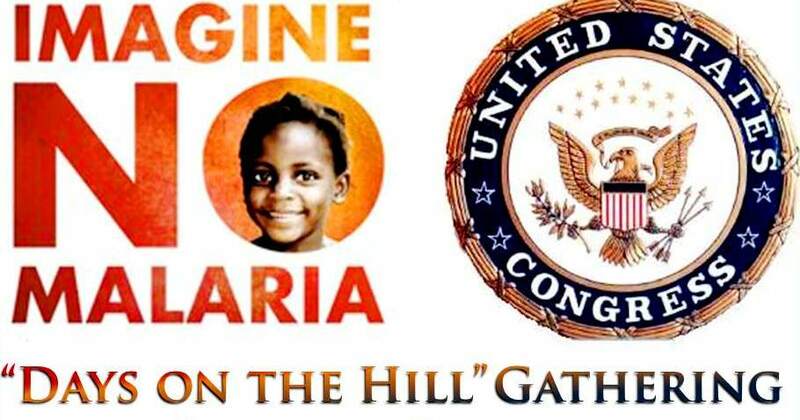 More than 100 Imagine No Malaria advocates, including United Methodist members from 29 states, 40 annual conferences and five participants from Africa, will meet with members of the U.S. Congress Dec. 3-4 during a “Days on the Hill” gathering in Washington, D.C. The main purpose of this meeting is to urge Congress to continue global health funding. “The future of Congressional funding to global health, including [funding] to fight malaria, is in jeopardy,” said Bishop Thomas Bickerton, who chairs the United Methodist Global Health Initiative. “The U.S. has been the world leader in global health aid, inspiring other countries to step up their support. To cut this critical funding would mean unnecessary suffering and loss of life from this preventable disease." The “Days on the Hill” gathering will open Monday morning, Dec. 3, with worship led by Bishop Bickerton. Additional Day 1 activities include an overview of the Imagine No Malaria advocacy initiative; a presentation on effective messaging by Mike McCurry, former press secretary for President Bill Clinton; and a presentation about the current state of global health funding from Peter Yeo of the United Nations Foundation. On Tuesday, teams will visit their respective Senators’ and U.S. Representatives’ offices. Closing worship will be led by Bishop Robert T. Hoshibata. The event will be held at the same time Imagine No Malaria celebrates more than 1.2 million nets being delivered, well ahead of the goal of one million by year’s end. More than 9,000 nets were delivered in Angola in October and 22,000 will be distributed in Zimbabwe in December. For more information, visit Imagine No Malaria.org and follow the action on INM’s Facebook page and on Twitter.